Which state has witnessed the biggest surge in population growth (as a %) since the year 2000? Which state would you guess? Texas? Florida? If you picked Nevada, then you would be correct. 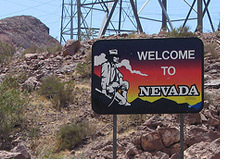 According to the U.S. Census Bureau, Nevada has experienced a 30.96% growth in its population since the year 2000. In the year 2000, 2,018,211 people called the state home. As of July 1st, 2009, this number has grown to 2,643,085 people. Now, the rate of growth has slowed (due to the recession) in Nevada over the past couple of years. From July 1st, 2008 to July 1st, 2009, the state added approximately 28,000 new residents - compare this to July 1st, 2003-July 1st, 2004, when the state added approximately 92,000 new residents. Given the recent problems that the state of Nevada has been facing, I think that many people would be surprised to learn that the state has led the way in terms of population growth (as a %) since the year 2000. The weak unemployment numbers for both Michigan and Rhode Island easily explain why their populations have grown so slowly since 2000 - many people are leaving in order to find work elsewhere. Of the most populous states, Texas has led the way with population growth of 18.31% since the year 2000. As of July 1st, 2009, nearly 25 million people called Texas home. California has seen total population growth of 8.73% since 2000, while New York has seen its population grow by less than 3%.